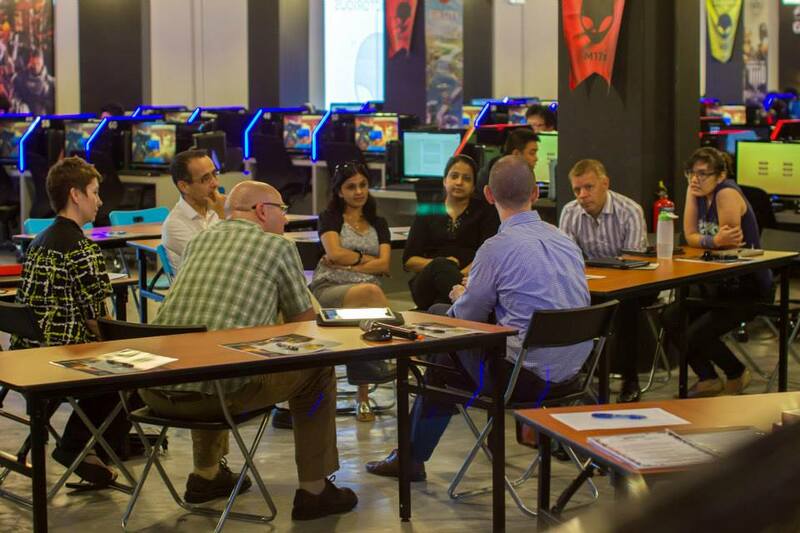 We conduct workshops and training sessions for education, independent trainers, small/medium businesses and enterprises on the best use of serious games for learning. We focus on the concept of using games (especially gamelets!) across different industries and use cases to enable smarter practices in the workplace. Playware also runs the Academy of Play, an innovative program that lets 11 to 14 year-old children experience the world of programming, art and design through an engaging, hands-on computer game development course whilst learning essential soft skills. All this in an energetic, fun-filled and collaborative environment that encourages exploration and creativity! Run by our team of experienced trainers and facilitators, this contextualised learning program has enriched more than 500 students to date, exposing them to the STEM disciplines through Programming as well as the elements of Design and Art. This will open their minds to future educational or career options.